← U.S. Presidential Campaign’s Top Issues — Jobs, Trade and Globalization — Getting Real. Taxing Multinationals — What Taxes? What Disclosure? — Are you Kidding! 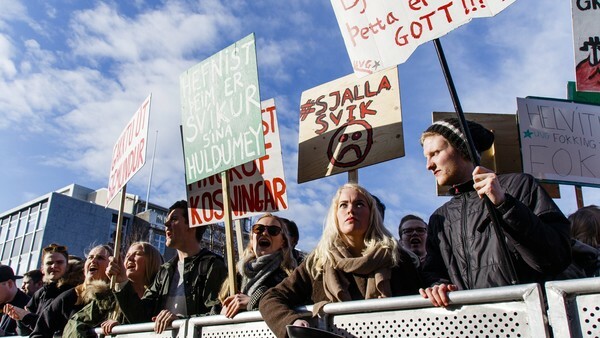 Anger over tax havens and taxing multinationals have moved from the margins to mainstream. They are red hot issue in the U.S. presidential campaign and abroad. This anger show signs of growing almost daily with the newest disclosure and corporate scheme for reorganization. Popular resentment to secret deals and ineffective global tax rules are adding immense pressure on governments to formulate and execute new policies to catch up with taxing real economic activities. In particular, the problem for the U.S. and the EU in taxing offshore income of multinational corporations is simple. We are trying to tax global transactions. Yet we are still living in a multijurisdictional world. Another words the U.S. and the EU are trying to tax transactions outside of their territorial jurisdictions. Very tough. The only global tax system today is a collection of national ones with a few tax treaties. This allows for lawful tax avoidance. (Illicit transfers is another problem. )Lawful tax avoidance allows firms to take full tax and technical advantage of the skewed system. All along while evading their national and corporate responsibilities to their governments and communities in their home jurisdictions that provide them their legal standing, protection and support. Doesn’t sound right. By-and-large this disconnect between nations and global transactions is the underlying problem. This actually makes tax avoidance both lawful and insidious. Both the U.S. and the EU are beginning to grapple with this. Sometimes at odds and sometimes not. Both have taken important steps in mandating bank disclosures of foreign depositors — for example, U.S. depositors in European banks — and if there is failure to disclose there is a U.S. tax on non-compliance under FACTA. The U.S. (FinCen) is considering similar disclosure of beneficial owners of offshore shell companies. The pending actions by the EU against Apple and the recently announced anti-inversion rules by the U.S. Treasury is just the latest round. The recent release of the Panama Papers further highlights the already overbearing situation concerning individuals stashing money abroad. This raises issues of facilitation of tax evasion and failure to exercise due diligence by financial institutions. The claim by the Europeans that “double-taxation treaties” should not mean “no taxation treaties” is ringing true more and more everyday. The amounts of money stashed by U.S. firms abroad by utilizing corporate inversions, deferral taxation and transfer pricing, and earning-stripping (use of tax deductible intra-company loans) is staggering. About $1trillion. To me ‘deferral taxation’ really means no taxation or very little taxation after rare repatriation. To me understanding global business and trade must include understanding taxation of these cross-border corporate and investment transactions. Here are two graphs highlighting cash held abroad and effective tax rates due to global trade activities (primarily export sales). Apple, Microsoft and Google alone have stashed about 1/2Trillion dollars off shore. 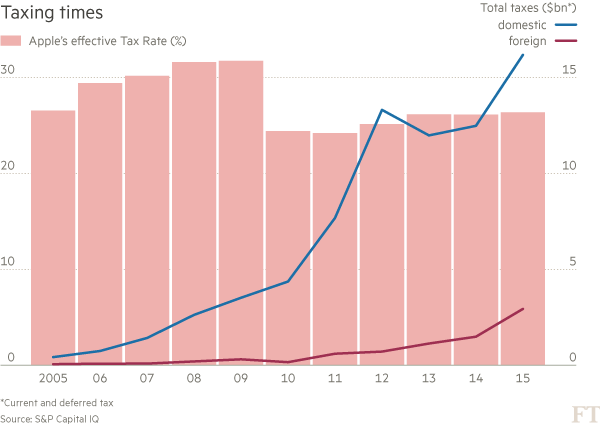 The Apple’s tax rate for overseas transactions is about 2.5% while for domestic operation it’s about 17%. The same can be said for other IT, Internet and pharmaceutical firms that rely upon intensive intellectual property rights and intangibles assets. 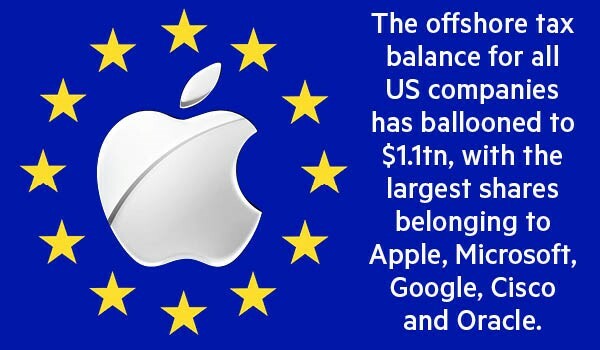 My sense is that both the U.S. and the EU really need to get serious about global tax avoidance by multinationals. The OECD and the G-20 can help but the answer at this point is better legislation and aggressive prosecutions by national authorities. The debate over overall corporate tax rates is somewhat real but to me even if these were lowered tax evaders and avoiders would still find it attractive not to pay the amounts due. We’ll see. But to start with we need in the United States an honest discussion of responsibilities of multinational corporations to pay their taxes where their real economic and business transactions take place. The U.S. can start this process by having a real and sensible discussion during this campaign season. Hopefully, this would lead to better national legislation and international cooperation. The stripping of taxes for individual and corporate gain, at the expense of U.S. society and dumping the obligations on everyone else, is a blight on our tax system and those insidious players. Those funds can be used for corporate reinvestment into the U.S. to support jobs and public projects to rebuild our infrastructure. No one goes onto business to be unethical and unprofessional. Business is in business to support profits and gains, legal and untainted ones. Well, you can always daydream. “Global Tax Avoidance by Multinationls (Treasury Inversions).” CNBC Video (April 5th, 2016). “Transatlantic Tax Dispute (US and EU and Apple). Financial Times (April 5th, 2016).